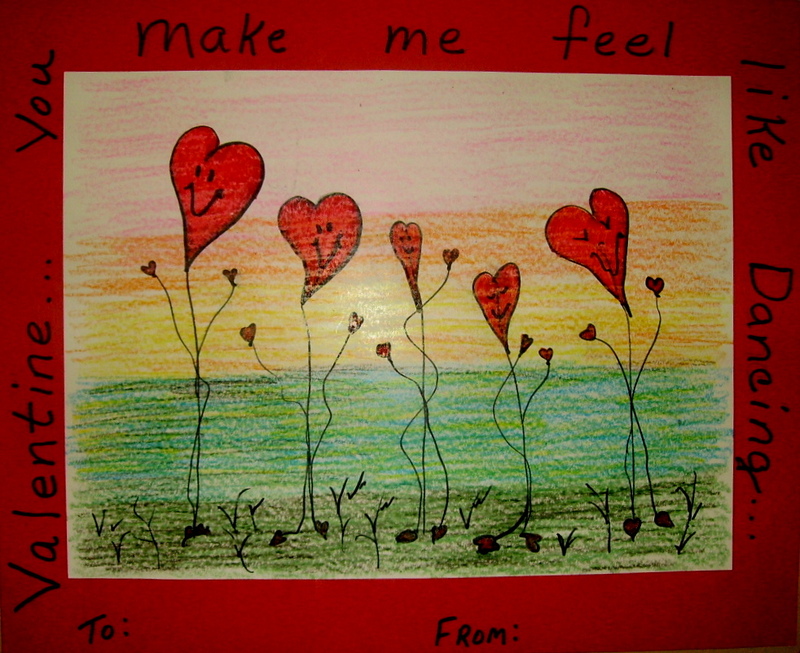 “Valentine…You make me feel like Dancing.” That’s what our Valentine card says to the lucky person who receives it. I’ve included this, “Dancing Hearts,” project under the 1st Grade Projects Gallery tab in the sidebar. If you click on the picture at the left, you’ll get a full view of the project. This entry was posted in 1st Grade, Valentine's Day and tagged 1st grade, art, dancing hearts, dancing valentine heart, dancing valentine heart art, dancing valentines, decoration for the classroom, easy valentine art for kids, easy valentine craft, valentine art, valentine art for kids, valentine heart art. Bookmark the permalink.